A man was walking on a beach and saw a young boy throwing objects into the ocean. He approached the child and noticed that the young lad was picking up a starfish and gently tossing it back into the ocean. Now, understanding that even the smallest act of kindness does make a difference, the man began to help the little boy return the starfish to the sea. Like the huge task in front of the man and little boy, those who work at charities understand the size and complexity of the issues confronting them in their desire to help. But, they do it anyway. Sometimes, it’s really hard to wrap our heads around the fact that there are so many people and animals that need help… who are suffering. While countless dollars are spent on raising funds for political campaigns or for people to watch sports and entertainment events, charities scramble for dollars in order for them to help homeless or abused people and farm animals, as well as more mainstream pets. Yes, charities need to be checked out. While most are in good-standing, unfortunately, there are those that use the money they raise for nothing more than administrative costs, with little going to the aid of those whom they say they represent. While there are watchdogs and sites set up to monitor the larger groups, many small to mid-size charities (especially local charities) are easier to follow and they always need help. And, if you, personally, visit a local charity, in most cases, you’ll discover that the charity is doing its best to survive (and praying for help or donations) and the hard working staff is maxed out mentally and emotionally… but, thankfully, they are not maxed out in the compassion department. And I think compassion is a key word, as is understanding and persistence. I think those three words – compassion, understanding and persistence – perfectly describe those who work in charities, as well as those who contribute via money or time. I love acronyms and the one that comes to mind to me now is CUP – Compassion, Understanding and Persistence. It takes a high level of compassion to see that there is a need to be filled and then to be willing to step up and help fill it. It takes a high level of understanding to know that doing so will not be easy, and it takes a high level of persistence to keep trying to provide assistance to so many in need, in spite of the overwhelming odds that all can’t be helped. But to the ones they do help… it makes a difference. 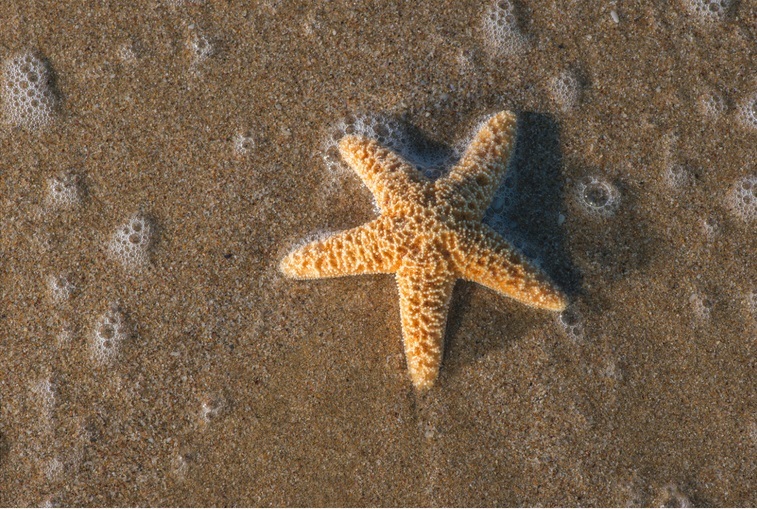 Like that little boy, who despite the huge number of starfish lying on the beach, his compassion to help, his understanding that he couldn’t help them all, and his persistence in trying to help anyway, indeed made a difference… to at least one starfish. And the amazing thing is that the little boy’s CUP of kindness reached out to that man on the beach… and touched his CUP of kindness. Like that man on the beach, we all carry a CUP of kindness with us. It just depends if we are willing to use it. So, maybe this week, you can be mindful of your CUP and figure out a way to share its contents with someone or something. And maybe, in using your CUP of kindness, you will touch someone else … and encourage them to use theirs. As Aesop once said, “No act of kindness, no matter how small, is ever wasted.” Remember, even the smallest act of kindness can make a difference. Bob Garner is a successful business person, author and inspiring keynote storyteller who delivers presentations for Fortune 1000 corporations on personal and professional development, worldwide. His radio program, “A Mindful Moment,” is heard every Monday during the 8:00 am hour on American General Media Inspiring Talk Radio 920AM KVEC.